Hello, friends, and welcome to Urban Goddess! 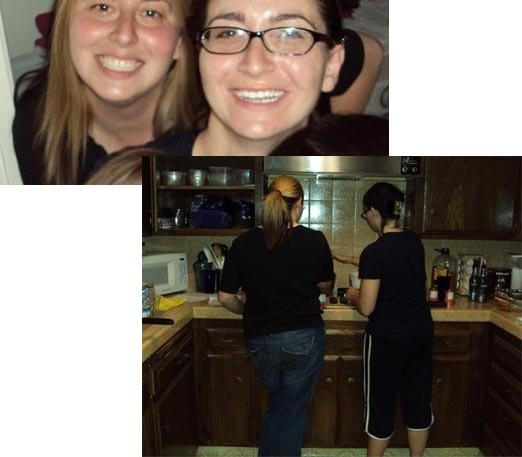 We are two sisters separated by many miles; Cristyn is in Los Angeles and Caryn is in Oregon, but we’re able to bond almost on a daily basis over shared interests of healthier living. Our goal is to build a community of sharing healthier living tips with others because we know how scary, difficult, and sometimes tedious it can be to begin a whole new lifestyle and eating habits. With getting older and the choice and rising prices of food available at most large grocery stores, we felt that we needed a change. All the reports of GMO foods, and other garbage, is disconcerting and we want to take back control of what we and our families are consuming. As a community, we can do this together and make healthier families and a healthier country! Let’s get back to our roots!